Benedictine Church of Sant’Anselmo (just down the street from Santa Sabina). sacred Triduum. The Holy Father’s homily is below. 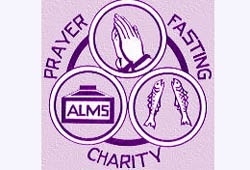 Beginning today, will Lent change my life? Yesterday’s Scripture reading at Mass from Tobit was a great entry into the great season of Lent: blinded for four years, Tobit’s whole life changed. 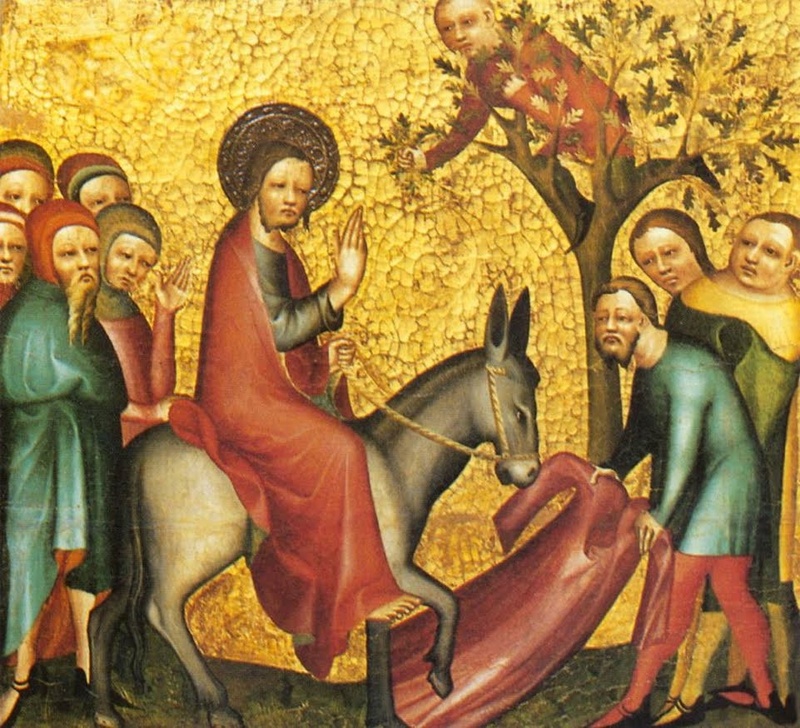 His lent, as it were, provided him the graced-filled opportunity to make some necessary changes in his relationship with God and other, not mention he softened his demeanor. In time, God heals his physical and spiritual blindness. If you get a chance, read the Book of Tobit. One has to ask, to what am I blinded to and how do I want God to heal me. At the end of the lenten 40 days, how do I want to be different from who I am today? In what concrete ways will I allow prayer, fasting and almsgiving to be tools for my own education in the faith as Christ proposes to me? Will I have a renewed understanding of the Cross and the Resurrection of Jesus Christ that totally changes my life? Catholics between the ages of 18 and 59 who are in good health are bound by the obligation to fast on Ash Wednesday and Good Friday. Catholics between the ages of 14 and older must abstain from meat on Ash Wednesday, Good Friday and all Fridays of Lent. Fasting means partaking of only one full meal. Two smaller meals, sufficient to maintain strength, may be taken according to one’s needs, but together not equal another full meal. Eating between meals is not permitted, but liquids, including juices and milk may be taken between meals. Abstinence prohibits the use of meat, but not of eggs, milk products or condiments made from animal fat. 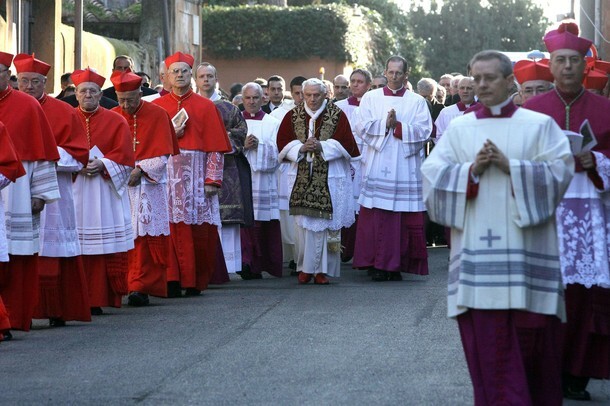 “While preserving their value, eternal penitential practices are never an end in themselves, but an aid to inner penitence, which consists of freeing the heart from the grip of sin with the help of grace, to direct it toward the love of God and our brothers and sisters” (John Paul II). For an article on the point of fasting, see read it here. 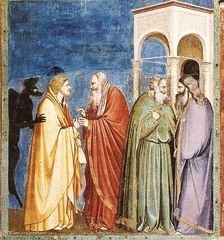 The Church as often called today “spy Wednesday” because of the betrayal of Christ one hears made by Judas. The name Judas is forever linked with the concept of betrayal. In Dante’s Inferno (Canto XXXIV) we see Judas in the lowest circle of Hell being eternally consumed by a three-faced winged devil. Imagine the affective hurt of being betrayed by a friend! O God, who willed Your Son to undergo on our behalf the gibbet of the Cross so that You might drive away from us the power of the enemy, grant to us Your servants, that we may obtain the grace of the resurrection.